Look, we found a letterbox! Have you ever heard of letterboxing? It’s so much fun, it’s free, and it’s great for a family activity during any season that’s not freezing cold. For us, that’s 3/4 of the year, but we really only get to do it in the summer for the most part because that’s when we have time to do things. Things that aren’t school and work things. I first heard of letterboxing so long ago, I don’t even know if we had all three kids yet. I read about it in Family Fun Magazine. I don’t get that magazine any longer and I can only imagine all the amazing ideas I’ve missed, but I used to love it. I credit all our letterboxing fun to the article I read in Family Fun. I remember reading the article and saying to Don, “When our kids are bigger, I want to do this,” and I never forgot it. 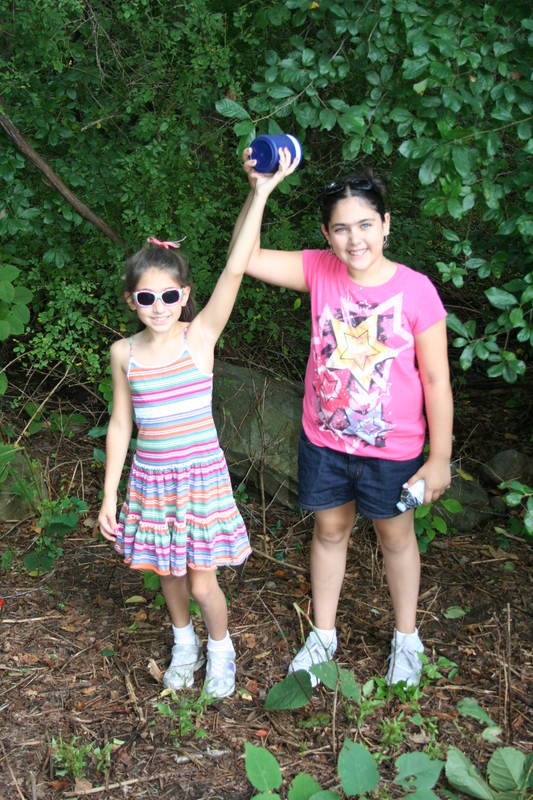 In 2008 we began our letterboxing adventures. Alexandra, our youngest, was three. You’re probably saying, “Get to the point! What IS letterboxing?? ?” I take the long way around sometimes, when I tell a story. All around the world people are hiding, and finding letterboxes! All around the world, literally, people are hiding these little boxes in secret places and uploading the clues to help you find them, online. It’s like a giant treasure hunt, really. *Something in which to store all those things. I used to use a gallon ziploc bag. Then I used a big manilla folder. Now they’re in an expandable file I found in my office. That’s the most durable thing I’ve used so far. 1) Visit this website for Letterboxing North America (assuming that’s where you live). 2) Click on the state you want to explore. Click on the area of the state. Ours is set up by counties. 3) Check out the list of letterboxes in that area and pick some to print out. I read the clues first to see if it says the last time the box was found or if it’s missing, or if the terrain is notable in any way, such as rough or rocky or easy. 4) Print out the clues for the boxes you want to look for. We started with boxes right in our own city to get the hang of it, and then expanded to nearby cities and now we do them even if we’re traveling on vacation and think we’ll have a chance to look for a letterbox. Now you take your clues and go. 1) You park your car where they tell you to, and start following the clues until you reach the hiding spot where they say the box is. We told our kids right off the bat that sometimes the boxes are missing or we won’t find them, just so they wouldn’t be so disappointed if that happened, but it’s not been the norm for us.. Usually we find them. 2) When you get to the hiding place you find the box. It’s usually a tupperware type of plastic box. Open the box. Find their stamp, ink and notebook. 3) You stamp your stamp into their notebook and we like to leave a little note with the date and our last name, so they know at least when the most recent one was found. We sometimes will look back to see how long the boxes have been hidden in that spot. 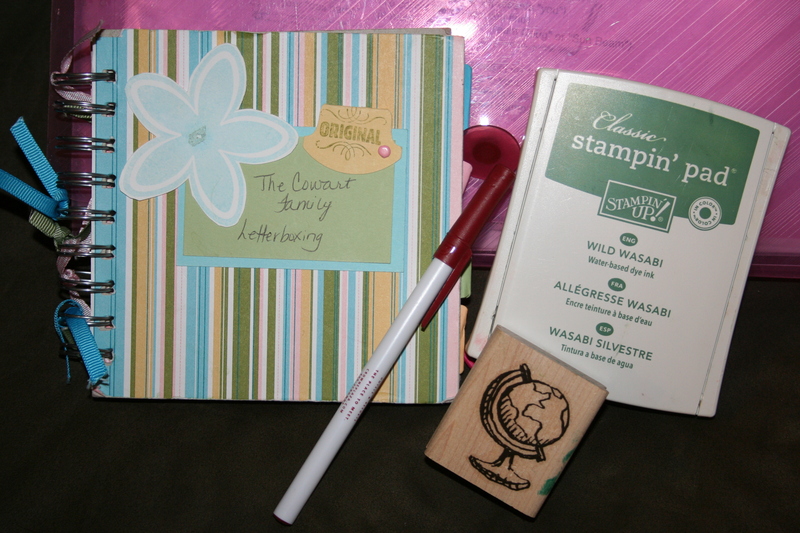 4) Then you take their stamp and their ink (or use your ink if needbe) and stamp their stamp into your notebook. Put the date and where you are so that you too, can look back in the future and see all the places you’ve explored and found letterboxes, and how long you’ve been doing it. 5) Put all their stuff back in their box and REHIDE the box. Don’t just leave it out there in the open. Put it back where you found it and cover it back up as it was so that the next person can find it. That’s it! Done! Fun times!! We never even knew this spot existed until we followed the letterboxing clues. The box ended up not being there, but the stunning location we found instead made up for it. We have not only found some neat letterboxes, but we’ve found some incredible spots, gorgeous places that we never knew existed in our own state. We’ve also explored some neat historic places both in our state and in other states, where we’ve found letterboxes. Letterboxing makes a day trip double the fun. 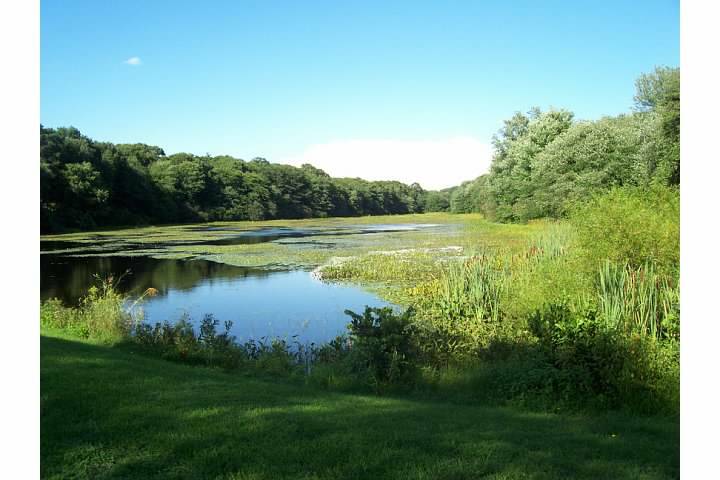 Some state parks have a series of letterboxes in them, sometimes three or four of them. You can spend the day hiking through the park and finding them. Dress appropriately. Sneakers work better than flip flops, for example. Sunscreen, snacks, water, tissues and band-aids are all good things to bring with you. You never know what you’ll need but those basics have served us well. 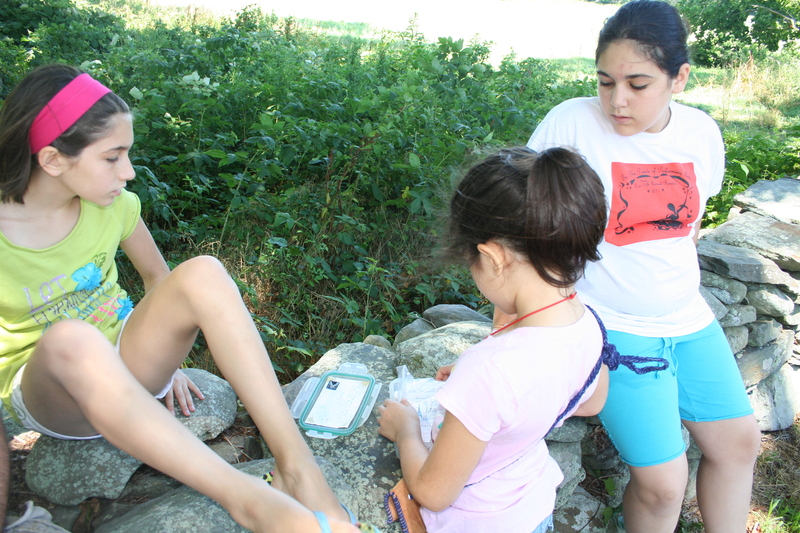 Next time you’re looking for a fun, active way to spend the day together with your family, give letterboxing a try! ← Fun Friday: Welcome Back Summer Timeline, I missed you! We SO would have done this had we known about it when our kids were younger. Definitely saving this idea for one day when we have greandchildren!